I’m so fortunate to have a wonderful team of gals working on the The Savvy Socialista Team! Not only do we all work so great together, but we have FUN doing it! We all truly do love our jobs and we adore our sweet sweet clients we get to work with, and for, each and every day. Whenever I take the The Savvy Socialista Team out for a team lunch I love to give them gifts! 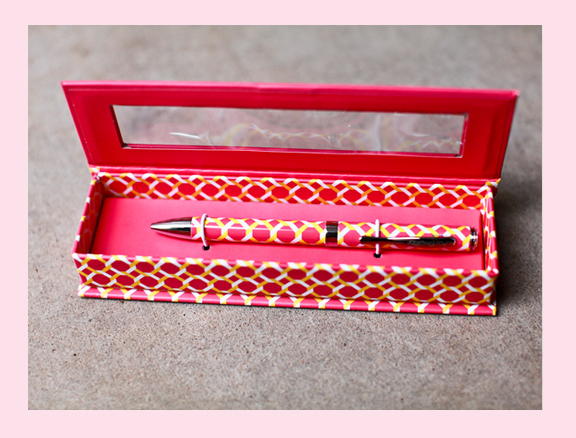 Who doesn’t love a fabulous gift!? It’s always super fun to have a little special something for each gal. It’s just my little way to show just how much I appreciate them. 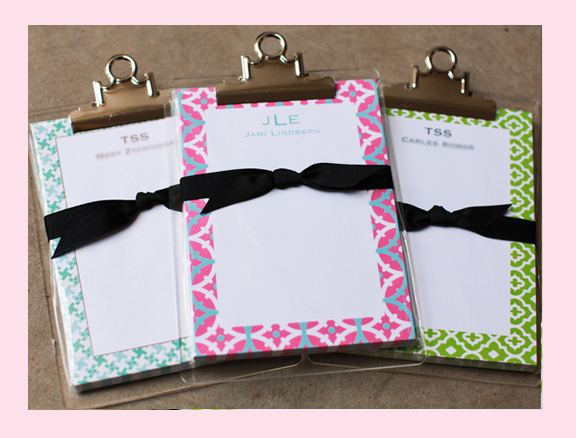 This month, they each received these darling notesheets personalized for each girly on my team. 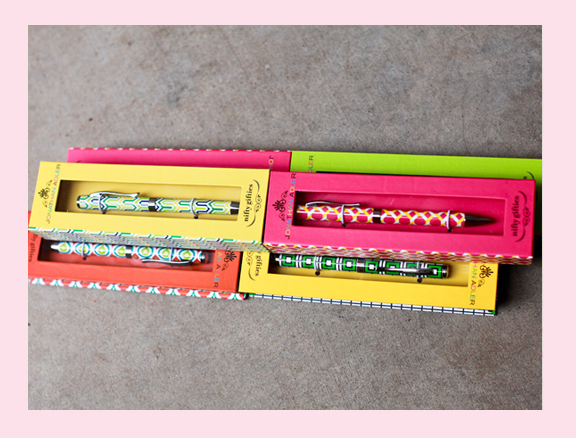 I couldn’t resist these darling Jonathan Adler pens! They write so nicely – and are simply beautiful. The colors are so bright and cheerful! Don’t they just make you want to smile!? And my Savvy Team girlys are bright and cheerful – how could I say no!? It was a perfect match! All of these fabulous items are from my sweet client, Pea Pod Paper & Gifts. You can also check them out on Facebook. They have a whole host of great personalized items and gifts. You’re sure to find something wonderful for that special someone you want to show your appreciation for. Thank you to my great team of gals! Go Team Savvy! Cute cute! 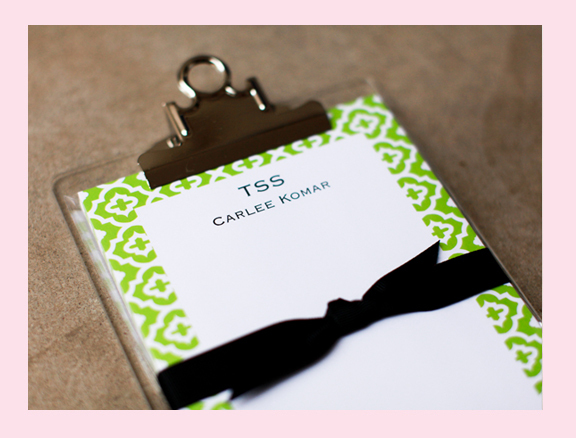 Just LOVE those personalized Clipboards! Gotta love Team Savvy!